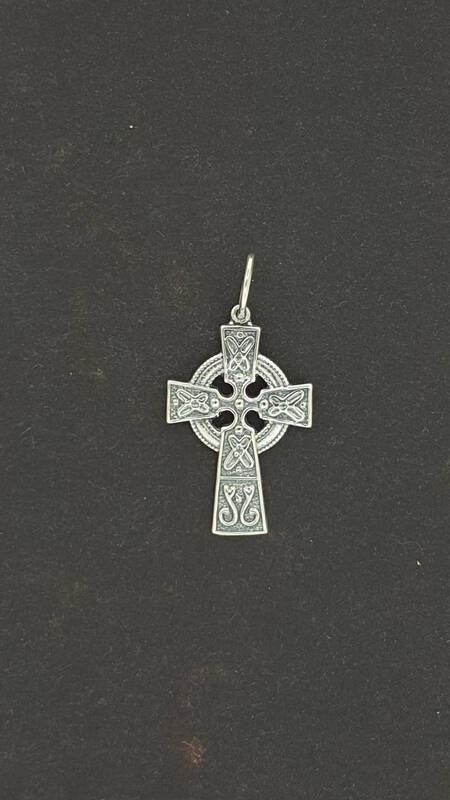 This pendant is a small sterling silver celtic crosses that are 2.5cm long. There is a large irish population here in Montreal, and no one was making jewellery in this style. So I decided to do it! These are from a collection of master designs I got from a retiring jeweller here in Montreal. The original design dates from the 40's-50's, but I made a new mold and started making them in sterling silver and bronze.